Rising Dragon Hotel is recommended by Lonely Planet. 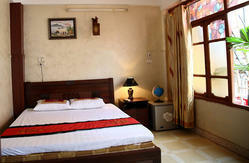 We are proud of is first one in the top Mid-range of Hanois Old Quarter hotels. Spoil yourself: Beginning on the same block as our hotel are the shoe borough, the made-to-order and ready-made clothing section, and the bar and restaurant district, all part of the delights of the Old Quarter. 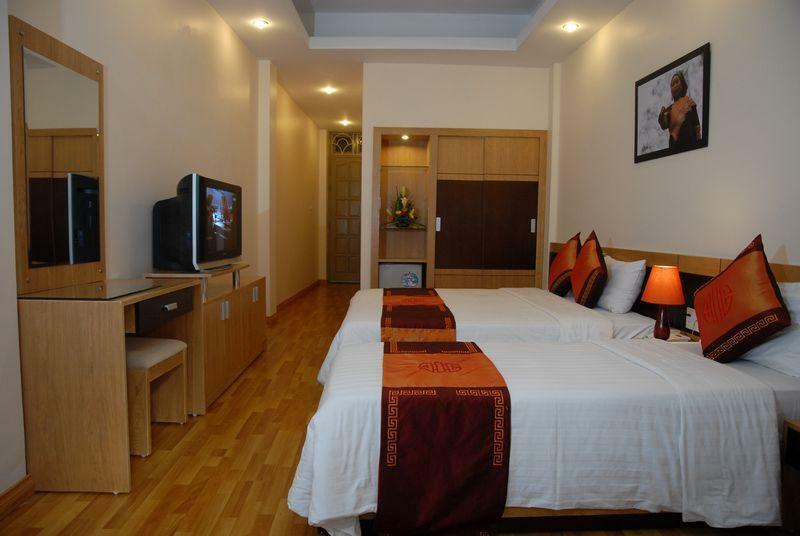 Nearby conveniences include supermarkets, ATMs and the ANZ Bank, the local post office and FedEx headquarters, plus the modern shopping mall of Hanoi, Trang Tien Plaza. Try one of the nearby salons, specializing in a variety of massage techniques, hair styling, as well as manicures and pedicures. Soak in the culture: The streets surrounding our hotel are filled with French colonial architecture, history and art museums, handicraft shops, specialty restaurants with local cuisine, and art galleries displaying the best original art of Vietnam. Take a cyclo ride through the streets on your own, or join a City Tour to see the Ho Chi Minh Mausoleum and Museum, as well as Ho Chi Minhs personal residence. Enjoy the tranquility: The mystical Hoan Kiem Lake and Ngoc Son Temple, Hanois most photographed site, is only one block away. Enjoy one of the rooftop cafes to survey the lake and take photographs to remember your journey. Join a boat tour to Halong Bay, a World Heritage Site, renowned for its breathtaking beauty and mysterious caves. The more adventurous can take a trip to Sapa to trek through the mountains and climb Vietnams highest peak, Mount Fansipan. While there you can enjoy waterfalls, open-air markets, and even spend the night with a Hmong family. We have organized tours or can arrange the tickets and information you need to travel independently. Be sure to check the daily specials offered by our own A Plus Travel Company. 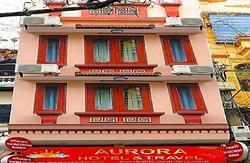 We look forward to welcoming you to Rising Dragon Hotel in the Old Quarter! Hanoi Main Train Station (approx 0.5 km SW) servicing north south. Gia Lam Bus Terminal (Hanoi) (approx. 2.0 km NE). Giap Bat Bus Terminal (Hanoi) (approx. 10 km SW). Taxi/Van service to and from the airport price range: $ 15 - 17 USD. In Hanoi be careful with Motorbike, Taxi, and Van drivers. They sometimes play a little game with the tourists: asking you to wait at the vehicle while they check the hotel for you. If they report no vacancies upon return, don't believe them--they want the hotel to pay a them a commission for bringing them a guest!